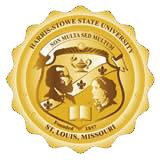 Student Support Services (SSS) at Harris-Stowe State University is a TRIO program dedicated to developing and graduating first generation, low-income and students with disabilities. Our mission is to provide students with academic and support services in a safe environment as they move towards successfully completing a baccalaureate degree. Interested student should print and fill out the Student Support Services Program Eligibility and Participant Application. Completed applications can be returned to Student Support Services via mail, email or in person. Dr. Henry Givens Jr. Administration Bldg.